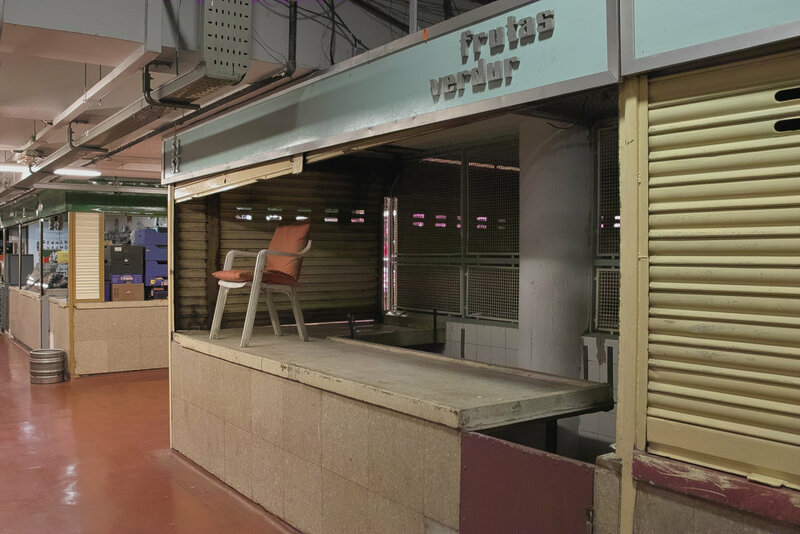 Mercado de la Cebada, La Latina, Madrid. For me, walking around this indoor marketplace was a wonder. It felt as though the stalls were clinging for their commercial lives. 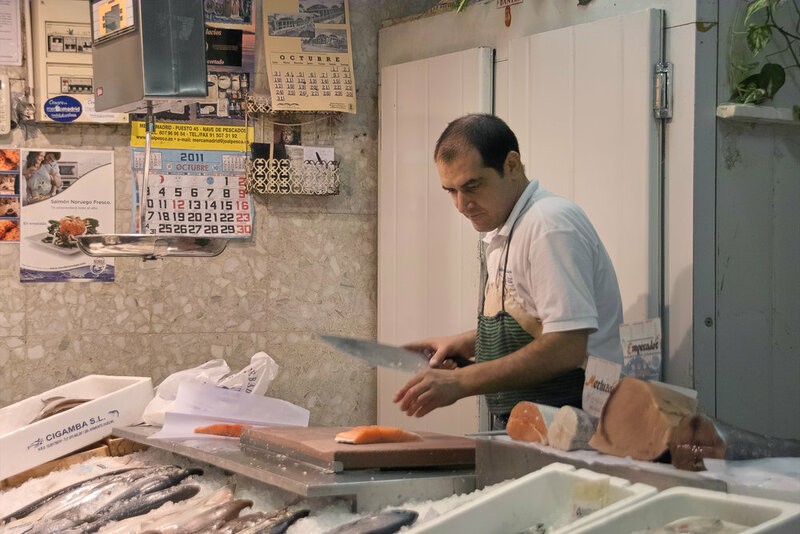 Most of the viable traders were centred on the ground floor, closest to the street for convenient access; they still provide excellent meat, fresh fish, fruit & vegetables. On the upper floors and outer edges stood many unoccupied kiosks, lining the long corridors of shutters and patchy lighting. 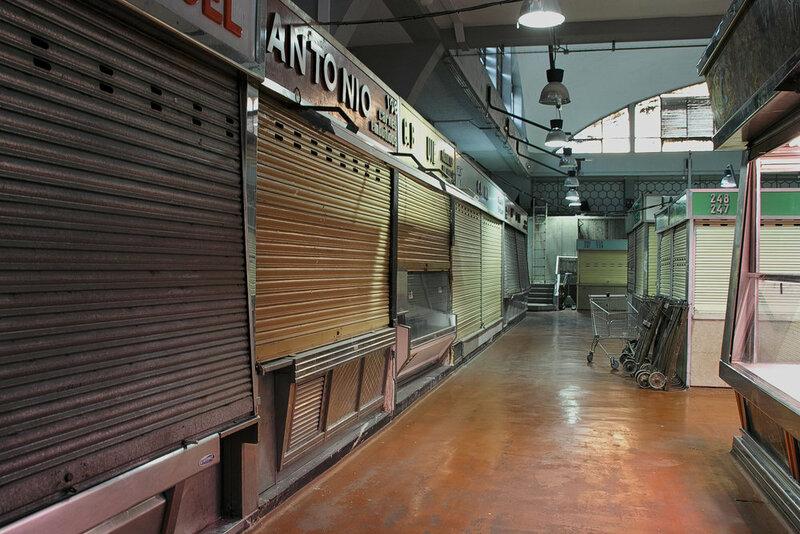 The building was almost like a time warp, its age was evident, but in many ways, I could see that it was a place held dear by its traders and the community it serves.